After just over two years of struggles learning the offense, bad preseason play, only five total regular season appearances, and losing his role to a seventh-round pick in three straight preseasons, the Paxton Lynch experiment has finally come to a merciful end in the Mile High City. At no point was the pairing of the Denver Broncos and Lynch a mutually beneficial relationship. Lynch had numerous struggles adapting to a full-fledged NFL playbook from his first day as a member of the Broncos. Unfortunately, the Denver coaching staff were never able to help him grasp the intricacies of an NFL offense. No longer could Lynch get by on being six-foot-seven with a rocket arm. Suddenly, his biggest issues became exponentially worse in the NFL. Throughout three training camps with the Broncos, Lynch did not show the requisite improvement, and it eventually led to his downfall. The free-flowing offensive philosophy at University of Memphis is what originally made Lynch such a tantalizing prospect. He has a rocket for an arm, the size to see almost any passing angle, and the athleticism to tuck the football and run. Lynch oozed potential at Memphis as he hurt opposing defenses in a plethora of different ways. Unfortunately, that offensive style is also what led to Lynch’s struggles. Lynch tried to adapt from a college system with very few play calls into the enormous complexity of the NF,L and has fallen short so far. That mental block did not allow Lynch’s physical gifts to shine in the way that general manager John Elway had hoped when he traded up in the first round of the 2016 NFL draft. Now, Lynch has very little production to show for his two-plus years in the National Football League. As Lynch entered his third year with the Broncos, the hope that he could become a franchise quarterback — as Elway had hoped — began to fall apart from the seams. After just one preseason game, Lynch suddenly found himself listed as the third-string quarterback behind the likes of Case Keenum and Chad Kelly. At that point, it seemed as if there was no opportunity for Lynch in Denver any longer. It felt as if the team had moved on and left him behind. The final nail in the coffin was during the second preseason game of 2018. As Lynch took the field as the third and final quarterback for Denver against the Chicago Bears, boos from Broncos fans filled his ears. Not only had he completely lost a chance to start for Denver, but the Denver Bronco loyalists had turned on him. At that point, it was clear that both Lynch and the Broncos needed to go their separate ways. Denver kept Lynch on the final 53-man roster in hopes of a trade — or just in case there wasn’t another third-string quarterback they could acquire — but when Denver claimed former Stanford quarterback Kevin Hogan off of waivers, that was the end for Lynch. Failure is the only way to summarize Lynch’s time in Denver. Yes, the drafting of Lynch was always viewed as a very high-risk, high-reward selection, but it is now safe to say that the there was no reward for the $8.3 million gamble that the Broncos took on him. Elway took a swing on Lynch because he thought had the potential to morph into a franchise quarterback, but he whiffed — and whiffed badly. It was time for Lynch to start fresh somewhere else, and the Broncos needed to rid themselves of one of the biggest draft busts in their franchise history. Still, that is not to say there is no hope for him. 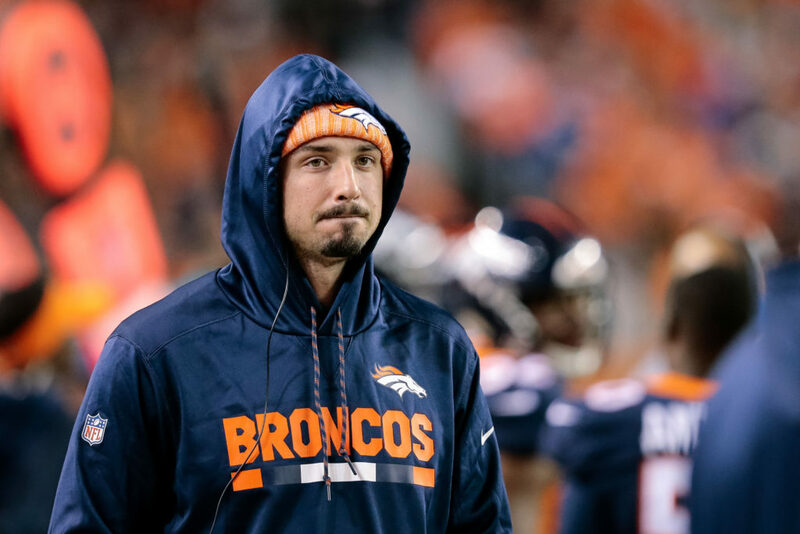 Lynch has all of the physical tools to become a strong NFL quarterback, but until he can grasp the mental aspect of being a quarterback in the NFL, the word ‘failure’ will unfortunately be directly connected to his time with the Broncos — and his career.